JANUARY 16, 2019 - MILAN, ITALY - On a stage above a rapt audience, Dijana Pavlovic’s words fill Piazza del Duomo in Milan, Italy. “Now and forever resist!” she yells, finishing an impassioned reading of Erri De Luca’s poem “La notte degli zingari” or “The Night of the Gypsies.” The poem is a poignant retelling of the genocide of the Roma people during World War II, when about 3,000 died in a single night at Auschwitz in 1944. Dijana Pavlovic, Roma activist, at an anti-racism demonstration in central Milan, Italy, Sept. 30, 2018. Ms. Pavlovic has been a leading figure in Italy lobbying for the equal rights of the Roma minority.Courtesy of Dijana PavlovicThe audience gives fierce applause to Ms. Pavlovic, a theater actress-turned-activist who is one of the most visible members of Italy’s Roma community. The crowd bursts into a spirited singing of “Bella Ciao,” an Italian folk song and an anthem of the anti-Fascist movement. “I was the first Roma candidate on the national level.... 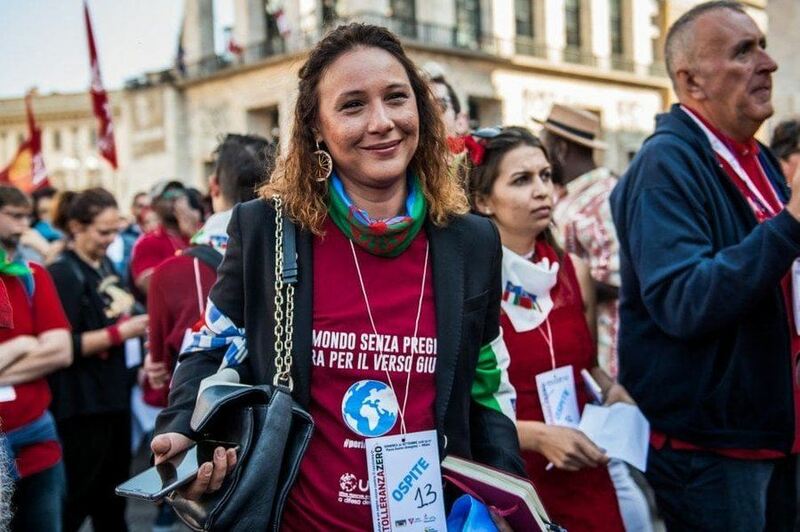 It was time to break this idea in Italy that Roma are only capable of assistance, to show that we can participate in the political life of the society,” she says.